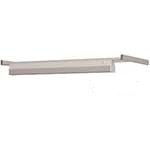 Framework constructed from welded tubular steel leg frames and channel supports, Lamstat static dissipative worktop with 20mm thick grey plastic laminate surface, leak resistance 106 - 108 ohms. 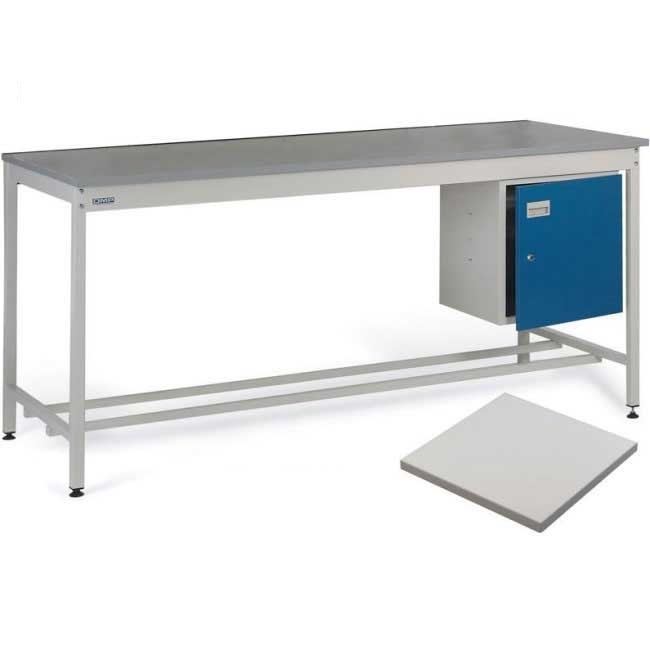 This General Purpose ESD Workbench with Lamstat Worktop is both strong and robust thanks to its leg frame and channel supports fabricated from welded tubular steel. Adding to the unit's firm stability are the adjustable feet that ensure the workbench remains steady when set on an uneven floor. 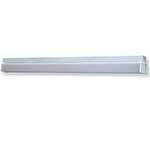 The bench is also powder coated to ensure that it remains durable. Comprising a grey plastic laminate surface that is 20mm thick, the Lamstat Worktop is of special interest, as it has a leak resistance of 106-108 ohms. This makes it ideal for use in the electronic and electrical industries, although this worktop is suitable for all sectors. 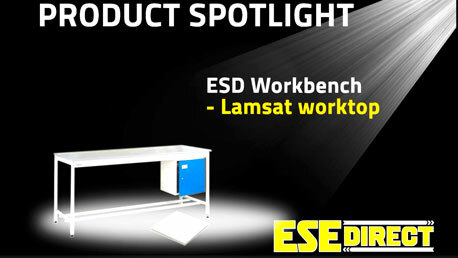 These General Purpose ESD Workbenches with Lamstat Worktops have added features to ensure precise work can be carried out. For static control operations the bench comes with two 4mm wrist straps. Other accessories that help advance the versatility of the workbenches include cupboards and drawers and upper and lower shelving for storage purposes. 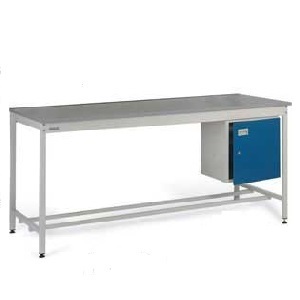 The work surface area can also be extended with a compatible extension bench. 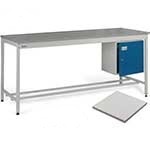 Data points and RCB circuit breakers can also be incorporated into these ESD workbenches. 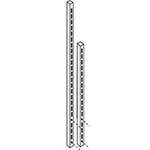 Other accessories include a post mount electrical service duct, a surface mount electrical service duct, electrical insulating strip, fluorescent lighting strip and a light tool support rail. Q. 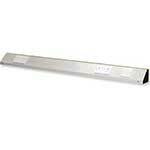 Please can you tell me what a lamstat worktop is?